Description: On this week's show, Dianna's guest is David Brunelle from Wasaga Under Siege: A War of 1812 Experience. A great annual family event that with the help of re-enactors, gives you an opportunity to relive life back in the 1800's. David will share information about the activities planned for this two day event held at Wasaga Beach's Historic Nancy Island in August. Please enjoy and share this great local program. Wasaga Under Siege is proudly sponsored by Beach BOOSTER Media Group. 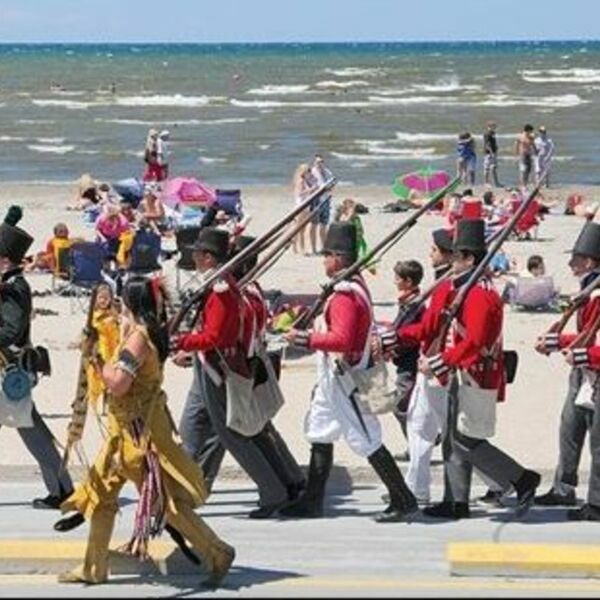 On this week's show, Dianna's guest is David Brunelle from Wasaga Under Siege: A War of 1812 Experience. A great annual family event that with the help of re-enactors, gives you an opportunity to relive life back in the 1800's. David will share information about the activities planned for this two day event held at Wasaga Beach's Historic Nancy Island in August. Please enjoy and share this great local program. Wasaga Under Siege is proudly sponsored by Beach BOOSTER Media Group.